It also meant that we went from a non-working toilet to NO toilet! 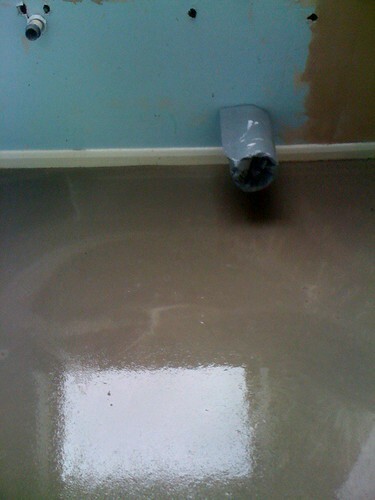 Screed = screwed! I managed to book a hotel in Wimbledon at the last minute. We really weren't prepared well enough for this job! I can live with showering at the gym, but my tiny bladder is finding the Lack of Loo difficult. 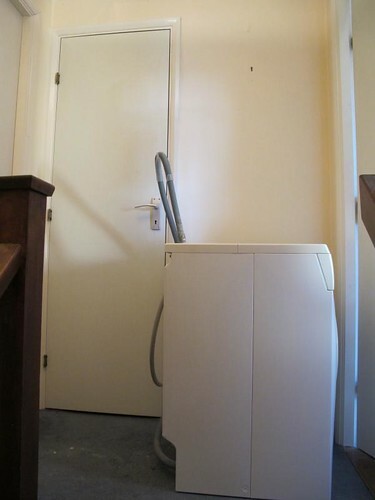 Finally, it meant that we had to move the washing machine to the hallway. Sure hope we don't destroy the pretty new floor when we move it back. They're laying the linoleum today. Stay tuned!